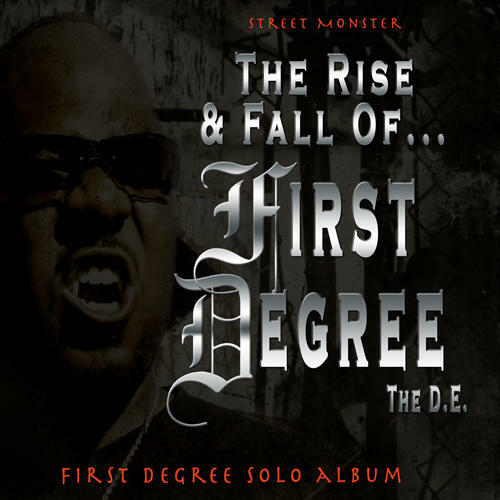 Cityhall:Street Monster - The Rise And Fall Of First Degree The D. E.
Street Monster - The Rise And Fall Of First Degree The D. E.
Title: Street Monster - The Rise And Fall Of First Degree The D. E.
From the darkest caves of our existence comes First Degree The D.E. 's newest release. 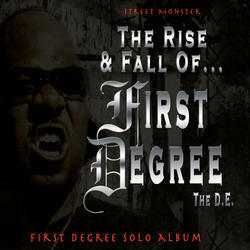 As you know, he released "Sactown Bloods and Crips" (FAH #14) last summer. The purpose was a 6-month peace movement in da hood. Since the release, he has been on primetime TV news from Sac to L.A., local and national newspapers, political and urban radio, and world-wide Google News - he has become an activist. Local police and Sac sheriffs were publicly divided on the movement. Sheriffs were in the Sac Bee newspaper saying the movement glorified the gang life, and police went on TV (CBS) stating it was good for the community. Gang homicides decreased. Features B-Legit.